Private John Dudley White, Sr. Private Frank Louis Schmid, Jr. 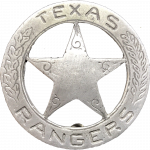 The Texas Rangers has been absorbed by or is a component of the following.